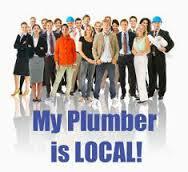 At Plumber D1 we cover all areas of the inner city. If you have an emergency our team of are waiting to help you. All of our Plumbers are fully qualified and R.G.I. registered. We are covered by comprehensive private and public indemnity insurance for your peace of mind. All of our work is covered by our Dublin 1 plumber guarantee. In an emergency situation a member of our plumber D1 team can be out to your home or business within an hour. This is guaranteed at any time of day or night. When you call, one of our senior plumbers will try to help over the phone. If required we will send someone out to you straight away. About the team at Plumber D1. All of our company are proud of our reputation for customer satisfaction. We have expert domestic and commercial plumbing knowledge and are very competitively priced. Our customers know that when our team undertake a plumbing job, they will ensure that the job is finished to the highest standards. This means customers can sleep soundly knowing that they will always be very satisfied with our plumbing services. We realize that is can be tough to find trustworthy and reliable tradesmen. At Plumber D1 our customers can rest assured knowing we provide the highest quality of service. All of our team have had their qualifications rigorously checked. This is to make sure that they have the relevant skills and experience to attend to any of our customers. This also ensures that they will be able to address any plumbing issue that you may have. At D1 Plumbers we cover all of the following areas. if you don’t see your area on the list don’t panic we will have one of our team close by. Abbey Street, Amien Street, Capel Street, Dorset Street, Henry Street, Mountjoy Square, North Wall, O’connell Street, Parnell Square and Talbot Street. We operate our business transparently. We always offer our clients the best options, price and plumbing services available. Our honest approach has been the building blocks from which our reputation has been built. We do not operate a call out charge, We will always offer free advice and are happy to provide no obligation quotes. If you need a local D1 plumber give us a call today on 01-2844921.